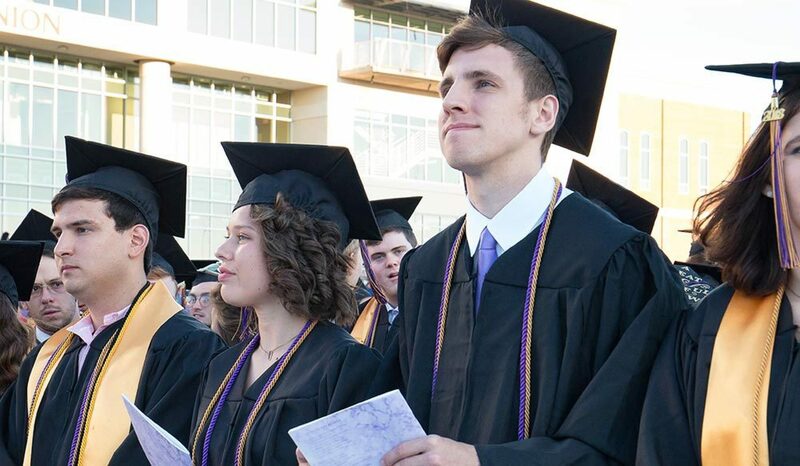 UMHB's commencement ceremonies will be held in Crusader Stadium. The Bell County Expo Center will serve as the alternate venue in the instance of inclement weather or scheduling conflicts with athletic events. Notification of a venue change will be publicized as soon as determined via email and text messaging system. Because commencement exercises are a meaningful experience in the academic life of a student, all students are encouraged to participate when possible. However, a student may be excused from commencement exercises and be permitted to graduate in absentia with approval from the Registrar. Regalia and invitations may be obtained at the campus bookstore prior to Commencement. Those individuals who have student loans must complete an Exit Interview through the Financial Aid Office prior to commencement. Student loan recipients will receive notification from the Financial Aid Office regarding specifics of the exit interviews which can be done online. Please stay in contact with our office and make sure we have your current address and phone number. You will be receiving email from the Registrar's Office and the Alumni Office.